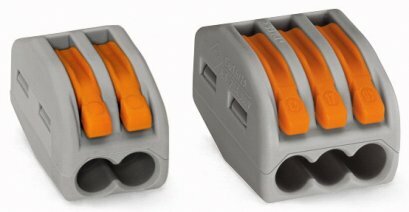 Proven and perfected: WAGO's 221 Series COMPACT Splicing Connectors for all wire types set new standards. This new series is 40 % smaller and even more user-friendly than its successful predecessor, the 222 Series. 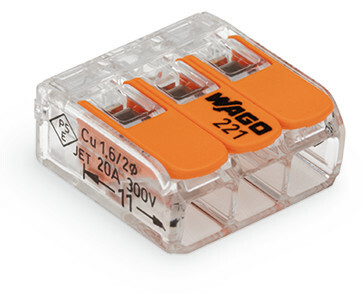 WAGO's new “superstars” for electrical installations allow solid, stranded and fine-stranded wires to be connected faster, in less space and more reliably: This is not just made possible by their compact design, which is 40 % smaller than the well-established 222 Series, but also by their transparent housing, easier handling and two test ports. 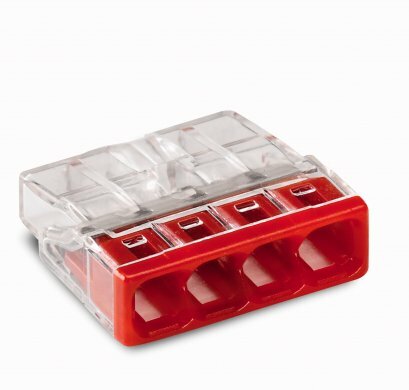 Due to their extremely small dimensions, WAGO's COMPACT Splicing Connectors are ideal for space-restricted applications. Installation is made much easier, while providing additional freedom for future expansions. The transparent housing is another highlight: Now, you can clearly see if the wires are connected properly and stripped to the correct length. Furthermore, two easily accessible test ports, one in the conductor entry direction and one opposite of this, simplify testing — even when installed. The 2-, 3- and 5-wire connectors accommodate fine-stranded wires from 0.14 to 4 mm², as well as solid and stranded wires from 0.2 to 4 mm² (24–12 AWG). 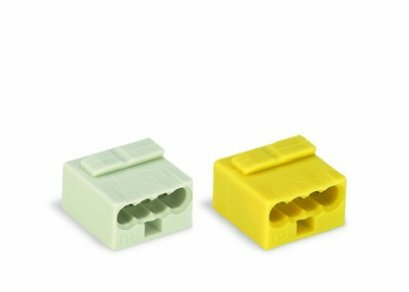 They are therefore ideally suited to connect different conductor sizes and types to each other. Tinned current bars ensure a permanent, gas-tight and secure wire connection. 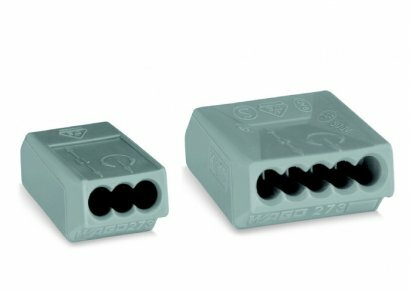 Ratings up to 32 A/450 V and 105 °C maximum continuous operating temperature allow the 221 Series Splicing Connectors to be used at ambient temperatures up to 85 °C (T85), making them ideal for small and large loads. Furthermore, approvals like ENEC or UL allow them to be used in worldwide applications.